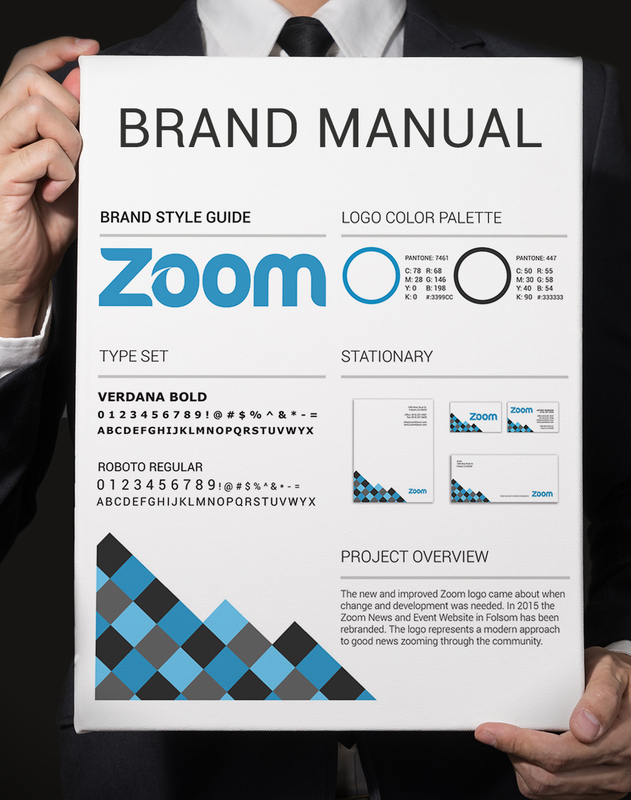 Graphic design isn’t limited to your website design, social media platforms, and email marketing. If you have a business in Sacramento, in El Dorado Hills, Folsom or the greater Sacramento area you are also going to need a stationery graphic design for everything that you have to mail out or print on physical paper. When you are looking to represent your companies brand identity and compete with your competition, you want something stunning. You need print material that your prospects will remember. You need a style and design of stationery that is built to last. Who gets the business deal? The real estate agent in a brand new c6 AMG Mercedes or the real estate agent that pulls up in an 87 pinto? Seriously folks, spending extra money on print material is no joke. You need a business brand identity that is going to reflect just how much you care about your business, that you are successful and that you invest in something you love. We specialize in all styles of print options on all types of stationery material. Whatever it is that you are looking for, our graphic designers will not only create the concepts, we will print them and deliver them as well. As a full-service graphic design, multi-media marketing and printing company in El Dorado Hills, we are proud to deliver some of the finest work for companies throughout Sacramento, CA. Stationery graphic design is a way of making your business look more professional and stand out amongst all the other pieces of paper in the stack. When you are mailing information, having clients sign contracts, or making business deals, even the paper you use reflects on your business. Make your business look amazing with stationery graphic design in El Dorado Hills, Folsom and the Greater Sacramento area. We handle everything from your graphic outlines to your printing services and delivery so rest assured that you will get a stunning hand delivered package that looks beautiful from Front Street Media in El Dorado Hills. Letterpress is a method of paper printing where the paper is stamped with raised ink on a large roll. This gives a formal, official look that you simply can’t get by printing off the same document on an ink jet or laser jet printer. If you are looking for a letterpress designer in Sacramento or letterpress printing in Sacramento, reach out to Front Street Media. Letterpress is often used for things like wedding invitations, birth announcements, and many custom printing jobs. There’s also plenty of use for letterpress for Sacramento area businesses as well. Consider custom letterpress for business cards, postcards, event invitations, thank you letters, certificates, and more! 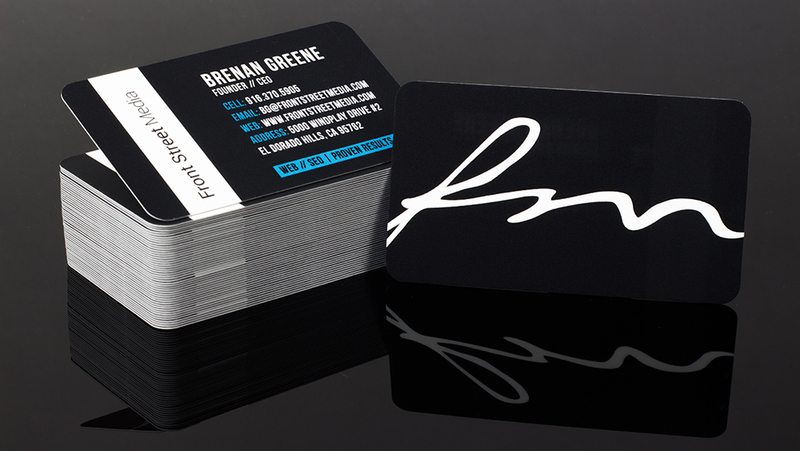 For stationery business cards that really pop, add a UV spot gloss. Whether you are putting a glossy detail on your text or adding extra decorations to the graphic design of your card, UV spot gloss makes your customers, clients, and partners sit up and take notice. UV Spot gloss with combinations of satin finish or velvet finish can make the start of a conversation turn into a lifetime of the business. The saying is “all that glitters is not gold,” but it really doesn’t matter whether it’s gold or not when it comes to making a good impression on your stationery graphic design. When people see the glitter and reflection of gold, they think quality. You don’t even have to tell your customers how high quality your products and services are. If the style fits your business brand identity and brand vision, then Gold Foil Printing in Sacramento is the choice for you. If you are using gold foil in your stationery graphic design from Front Street Media, your prospects and current clients will see just how much care and love you put into your business. While a typical “run of the mill” business card is anywhere from 14pt – 16pt card stock, a 34pt cardstock business card is sure to leave a lasting impression. Literally, a 34pt cardstock business card will leave a lasting impression in your Gucci wallet. Not only literally but metaphorically as well. They are not cheap but the are surely impressive. 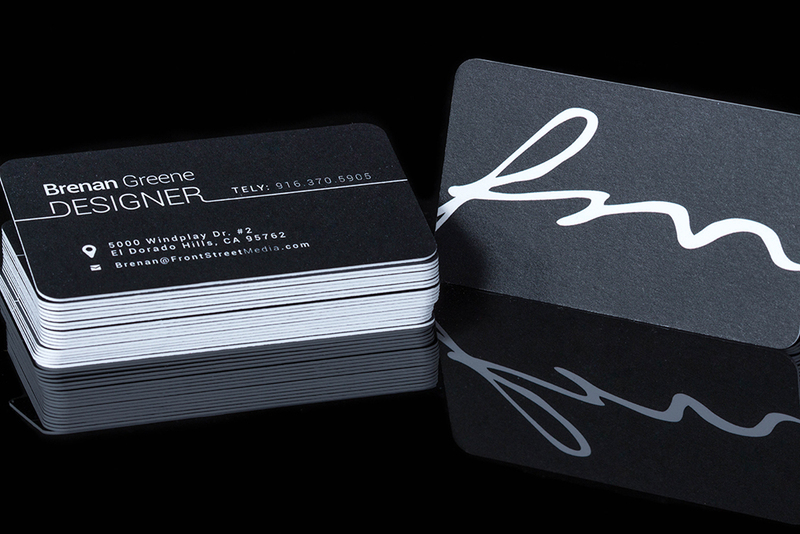 The 34pt Thick Textured Matte business cards are one of our favorites here at Front Street Media and one of the most popular styles of card stock used in stationery material. From business cards to postcards, use 34pt card stock on your next print campaign and watch the reaction that your prospects will give you. They seriously give you a second look, it’s amazing. Here at Front Street Media, we are here for all your business card graphic design needs! We design your business cards to mirror the style of your logo, the way your website looks, and all the other visual elements of your business. Business cards aren’t just about giving your info to people; they are also a way that you represent yourself, your business, and your identity as a business person. Put your best face forward with business cards from Front Street Media! 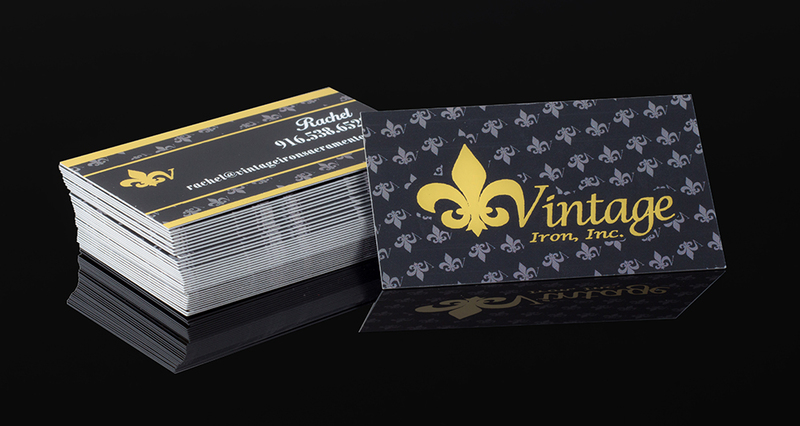 If you want to really stand out from the crowd, add a touch of gold foil to your business cards. You can also stand out from the crowd with UV gloss and spot gloss for your cards – these give a shine and a pop to your cards that really catch people’s eyes and make them take notice. Email might be king nowadays, but there are still plenty of reasons why you would need to print or write communications on letterhead. Some companies use regular paper and just use a template that prints the logo at the top of the page. If you really want to look professional, though, use letterhead that is designed specifically for your Sacramento or Folsom business by Front Street Media! You will love how sleek and professional your missives look, and your customers and clients will love how confident they are in doing business with a company that is as sophisticated as yours. No matter how much you advertise on Google or on Facebook, there’s really still nothing like old fashioned flyers for getting the attention of customers in your local area. And thanks to Front Street Media’s designs, your fliers don’t even need to be old fashioned! Let us design amazingly eye-catching flyers for you, and you will be thrilled at how quickly the customers start coming in! If you are mailing out advertisements or any other kind of communication with your customers or clients, your envelopes give an immediate impression of your company before they even look at what you have written. Do you want to look like a cheap, fly by night company that purchases your mailing supplies at Walmart? No! Make the best first impression with envelopes that match your overall graphic design scheme from Front Street Media, and show your customers that you are a company they can count on. If you have any questions about our graphic design services, please refer to our Graphic Design FAQ’s as some of your questions may be answered on that page.